Remember those days when the music was so good that you could open up your kitchen window and scream into another dimension? Well, Smoking Martha emphatically answers this question with their new album, In Deep. 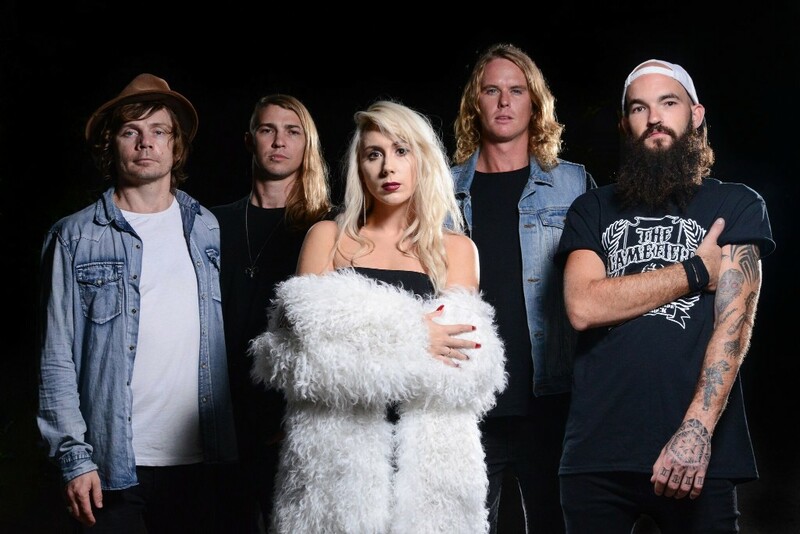 The raw talent and slick musical craftsmanship of this Australian band have given birth to a worldwide following that began with the release of their first self-entitled EP back in 2014. Smoking Martha was founded on the passion that vocalist Tasha D and guitarist Mike Broome have for rock ‘n’ roll and the ability to create good music. This desire would soon attract fellow bandmates, Az Stonely (guitar), Matty Mulheran (bass), and Jordy Poynter (drums). Together, the five members of Smoking Martha have created an incredible sound that closes the gap between classic rock styles of yesteryear and today’s popular music. 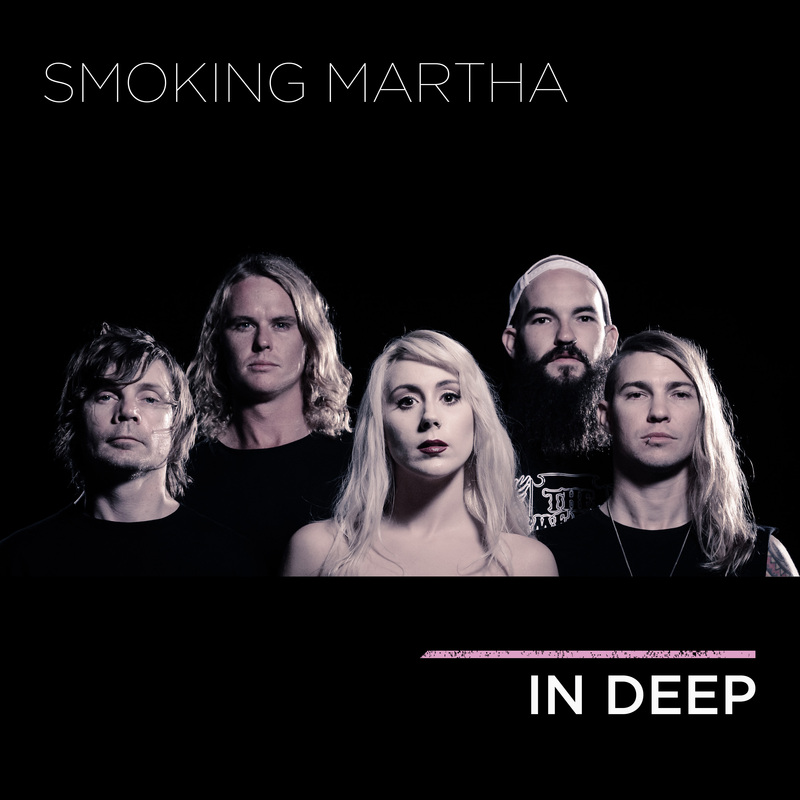 Released on May 19th, 2017, Smoking Martha’s new album, In Deep, is a definitive work, illustrating not only the group’s genius but their ability to capture the mood of an entire generation. It doesn’t get any better than this! In Deep draws from various musical genres with a stench of punk. Yet, it serves as the perfect accolade for rock music purists with its vintage sound. So Lonely is the first track on the album. It’s the perfect leadoff tune, opening the door for Smoking Martha’s dimension of the In Deep album. Tasha’s soulful voice holds perfect courtship in tune with the track’s flirtatious guitar riff. This is a tremendous song that should open quite a few doors for the fab five. While Smoking Martha’s drummer, Jordy Poynter, does a spectacular job throughout the whole album, he really gives an exceptional performance on the second track, Say Your Mine. This tune is a real team effort and its placement on the album gives the listener confidence that we are on to something really special. Tasha’s shows quite a bit of range on this one. Up next is one of my favorite tracks on the album, To The Stars. The guitars speak loudly and in harmony with Tasha’s voice. Mike Broome is a genius. The guitar arrangements are ingeniously simple but give the track a great amount of depth. This song’s inventiveness is key to its flawless presentation and a message of confidence sparkles in a sea of refined love. Ebb Of The Tide follows next. Another album favorite, this track has a nice break that is slightly experimental. As in the previous tracks, Tasha does an excellent job. On this song in particular, however, I found her vocals are somewhat reminiscent of Martha Davis of The Motels. Ebb Of The Tide is unique in this demonstration of Smoking Martha’s ability to create music about society’s ills and assets without sounding preachy or opinionated. This is a great song that discusses the struggle of addiction. Play, Rewind, and play it again – In Deep! When will guitarist Az Stonely be admitted into the Rock n’ Roll Hall of Fame? I just had to ask this question after listening to his performance on One Night. Filled with high-energy rhythms, and a driving theme, One Night is an absolute ‘rewinder’ over and over again. Baby Let Me Go is a nice surprise. Appearing in the middle of the album, it’s an acoustic gem where Tasha’s voice grabs you by the hand and leads you through a spring forest filled with bloom and the sunshine. Follow, the seventh track on the album is a hypnotic beauty that comes off a bit blues funk influenced. Thanks to Matty Mulheran on bass and some spectacular production, we are caught up in a world of bliss. By the time we get to the eighth track, Find A Way, it is quite obvious that the In Deep album has great continuity. Track after track, In Deep, is full of ‘good music. stamina. This track opens with some really groovy guitar riffs and overlays, coupled with great backing vocals and harmonies. Find A Way is brilliantly put together and based on the lyrics, we get to follow a storyline that is relative to all of us, discovering the meaning of love. What’s Her Name is a radiant tune. Although the song’s rhythm is bright, the lyrics are about a woman’s concern over the influence another woman has over her man. What’s her name? While the In Deep album stands out musically, one should not overlook the group’s genius when it comes to lyrical content. I was deeply impressed when I heard the opening lines of the album’s final track, Stranger Things, which encourages the listener to work on themselves as a means of changing the world. I found this to be a great conclusion to one of the decade’s best albums. Smoking Martha’s In Deep album has restored my faith not only in music but in the existence of musicians with integrity. Normally, I rate albums on a five-star system, which I must say this album not only ranks five out of five stars, but I encourage the reader to add an extra star for the genre Smoking Martha has created for itself. Like the Beatles, like Led Zeppelin, like Prince, like Green Day, Smoking Martha is in a class of its own and In Deep is the greatest testimony to prove this! You can purchase the In Deep album here. Question From Our Readers: If The Simon Necronomicon Is So Powerful Then Why Aren’t Its Practitioners Working In Unison To Make the World A Better Place? Wow!! They sound really good!! Thank you for introducing us to them, they are definitely a band to look deeper into!